Invisalign can improve your smile by straightening teeth and closing small gaps between them. Invisalign is an exciting teeth-straightening alternative to braces because it is both discreet and comfortable. A dentist can help you decide if Invisalign is right for you. At Westport Dental PC, Dr. Sathvik Seshadri, Dr. Shikha Chopra, and Dr. Paola Buckley are your dentists in Westport, MA, for Invisalign. Invisalign works similarly to braces by exerting a gentle pressure on the teeth to gradually move them in the desired direction. Invisalign does not use brackets and wires to move the teeth like braces. Instead, aligner trays are worn over the top and bottom rows of teeth. Each set of aligner trays is replaced with a new one every few weeks. The teeth are in a slightly different position with each new set of trays until the teeth are eventually straight and evenly spaced. It takes about twelve months to straighten the teeth with Invisalign for most patients. Invisalign is best for straightening teeth and eliminating small gaps between them. Braces are more suitable for patients who need to correct problems with alignment of the jaw or bite. For example, braces are best for correcting overbites and crossbites. Your Westport, MA, dentist at Westport Dental PC can discuss whether Invisalign or braces is the right option for achieving the smile you desire. There are several advantages to choosing Invisalign for straightening your teeth. Invisalign is discreet and the aligner trays are comfortable to wear. Two features of the aligner trays make Invisalign discreet. The trays are clear and they are removable. Since the trays are clear, they are not immediately noticeable to others when you are wearing them. They can also be removed temporarily, as needed, such as when being photographed. The removable feature of Invisalign’s aligner trays has an additional advantage beyond being discreet. Being able to remove the trays when eating or to brush and floss the teeth helps with maintaining better oral hygiene. With braces, food particles can become trapped between the brackets and wires when eating, and it isn’t always easy to brush or floss around the brackets and wires either. All those worries are eliminated with Invisalign by simply taking out the trays to eat and to clean the teeth. 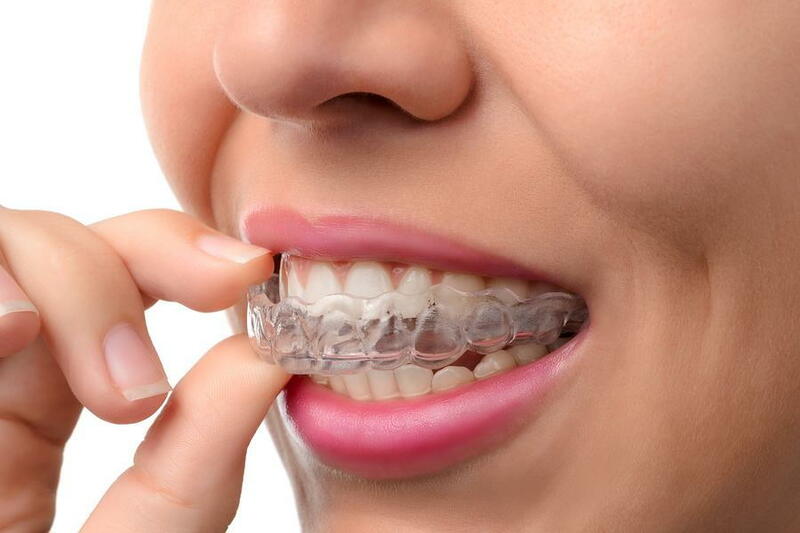 An additional advantage of Invisalign is that the aligner trays are comfortable, whereas the hard brackets and wires associated with braces can sometimes irritate the inside of the mouth. Invisalign’s aligner trays are made from a plastic material that is soft and flexible, so there is no discomfort when wearing the trays. Further, the trays are custom made for your mouth for the best possible fit. Invisalign can improve your smile comfortably and discreetly. To find out if Invisalign would work for you, schedule an appointment with Dr. Seshadri, Dr. Chopra, or Dr. Buckley, your Westport, MA, dentists, by calling Westport Dental PC at (508) 675-0561.